Oil analyzes will provide you with important information about the state of the oil as well as the condition of the equipment. With regular oil tests, one can build a history of its equipment, which will result in minimal downtime and more financial maintenance. With our Lubricating Oil Analysis System – MainTest – optimize operation, extend the life of the machine and prevent damage to machinery. Oil analyzes reveal the damage before they occur. At the same time, you get an accurate picture of the machine’s health condition, so you can schedule repairs in good time. Our laboratory technicians analyze your lubricating oil with some of the industry’s best appliances, so the results you get will be accurate. Oil analysis system which, in addition to an analysis of the lubricating oil, can also provide important information about the machine’s wear condition. 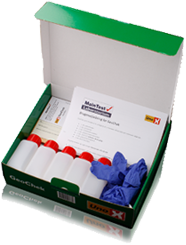 TexChek is therefore an indispensable tool in the company’s systematic maintenance program. 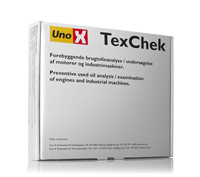 Recommended primarily for oil analysis in petrol and diesel-powered engines, gearboxes, air compressors and hydraulic systems, but generally recommended for analysis of oil-lubricated systems. The CleanChek analysis is specifically designed for larger hydraulic and gear systems. 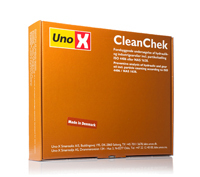 CleanChek provides specific information about the oil’s condition and purity – including measurement of oxidation and particle counting according to ISO 4406c or NAS 1638. In addition, the system’s wear and tear level is measured. GlycolChek is an analysis system designed specifically for cooling water analysis for all types of cooling systems. 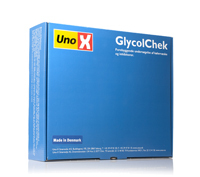 GlycolChek contains specific information about the condition of the refrigerant and the overall operating condition of the plant and will therefore be an indispensable tool in the regular maintenance of refrigeration plants. Systematic analysis of the refrigerant condition ensures that the system / plant performs optimally, which results in optimizing the life of the plant and refrigerant. CoolChek is an oil analysis system specially developed for the analysis of used oil from refrigeration compressors. CoolChek contains analyzes that provide highly specific information about the oil degradation stage, so that not only the cooling system but also the operating mode of the plant can be improved by using CoolChek. CoolChek also contains an analysis of the oil’s content of wear metals, which makes it possible to intervene in cases of very heavy wear. The analyzes can be ordered from our online store or by contacting our customer center. The analyzes are delivered with 5 analyzes per package, with sample bottles, information sheets and data cards, and in addition gloves for sampling. The analysis report will be sent to you by email or by mail. It is possible to receive quick results by SMS.